Chihui Tang Traditional Chinese Herbal Centre started in 2003 with the mission to help the needy people with Traditional Chinese Medicine. They run 5 stations of TCM charity clinic in Klang Valley, including Taman Tayton View, Sungai Way Petaling Jaya, Seri Kembangan Ampang, and Rawang. They provide a regular TCM charity service weekly and supported by 30 above Chinese Physicians with no compensation rotatory. 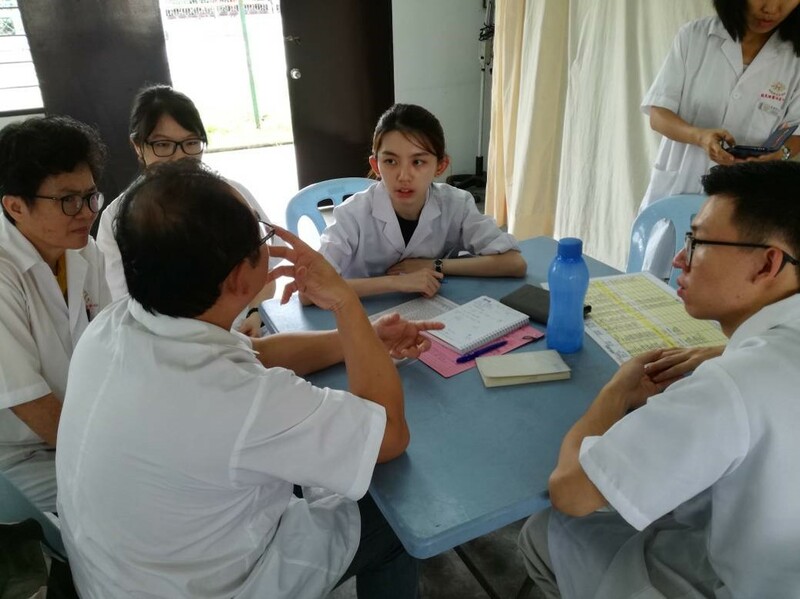 Our Chinese medicine faculty, led by Mr Wong Zhi Hang, is currently focusing on serving the community at Seri Kembangan. At the station Balai Masyarakat Seri Kembangan, the practitioners from Chihui Tang Traditional Chinese Herbal Centre serve about 80-120 patients in 3-4 hours weekly. The service is including general health screening, herbal medicine (3 days), acupuncture, moxibustion, tuina and cupping. The fund for their operational expenses mainly originated from Chihui Tang HQ and donations from philanthropists, community and industries. The team leader of the Traditional Chinese Herbal Centre, Mr Yang Sok Hoong, has 20 years’ clinical experience; Ms Pie Wan Koon, the committee member with more than 7 years’ clinical experienced and Nutrition & Dietetics (UPM) background, both have been appointed as our CM preceptor and they will guide our student during the community service. Our Chinese medicine students are conducting a weekly visit to this centre as part of their curriculum, where they gain invaluable clinical experience through service learning and community engagement. To improve the health status of the community at Seri Kembangan by providing Chinese medicine assessment and treatment. To promote Chinese medicine service and its benefits to the community. To provide a community-based platform for IMU Chinese medicine students to benefit from experiential and service learning.